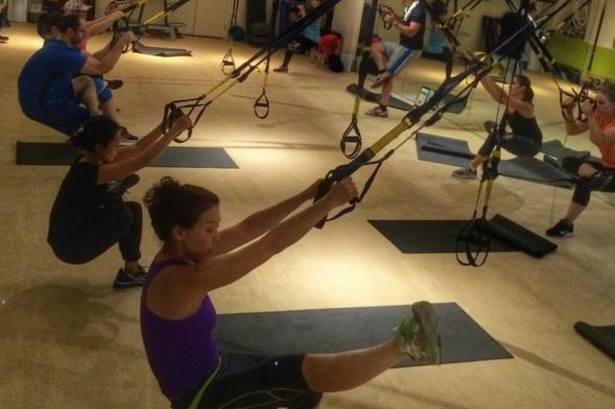 If you are still wondering what those straps hanging from your fitness studios’ ceiling are – or have a basic idea but are too intimidated to give them a whirl – it’s time to catch on to the TRX craze. 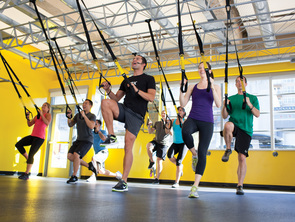 Give those TRX straps a try at one of Nimble Fitness’s two Manhattan locations - Union Square and their new St. Mark's studio - which each offer a wide variety of TRX-based classes for all levels. In addition to TRX, some classes incorporate kettlebell and dedicated core movement to build strength, conditioning, mobility, stability and balance in one workout; this boutique studio has a smorgasboard of classes for a host of fitness goals. Nimble Fitness takes a holistic look at health, offering small group training, personal training, nutrition counseling and stress relief tools in addition to their group TRX classes to help clients become fit and unburdened by injury. 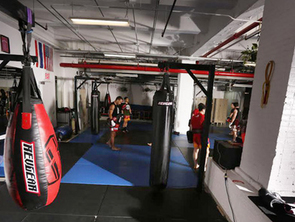 Why We Love It: In addition to the killer classes, Nimble Fitness has some fabulous amenities. The free towels, water, and mats provided make it easy to show up with the one thing you need: the desire to work hard and sweat. Why It's So Effective: Through multi-plane movement and body resistance, TRX workouts incorporate cardio, strength, flexibility, balance and core conditioning. This style workout switches the movements up quickly, amounting to less passive rest time during each class. Know Before You Go: Physical limitations and small injuries are not a problem at Nimble Fitness: just let your instructors know your areas of concern prior to class so they can give you modifications. Added Bonus: Interested in making the leap to becoming a fitness instructor? Nimble Fitness offers training programs for TRX™, calisthenics, and TriggerPoint. Learn more on their education page! Ready to try Nimble for yourself? Reserve now at St. Mark's or Union Square!